I Want in Your Drawers! 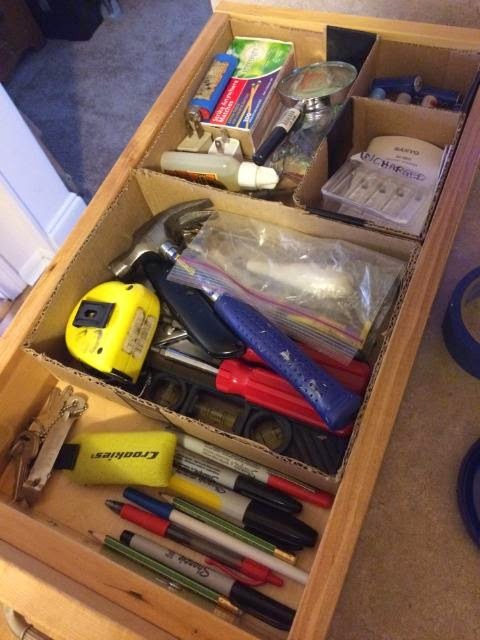 Everyone has a junk drawer. The goal is to make sure every drawer you have isn't a junk drawer. 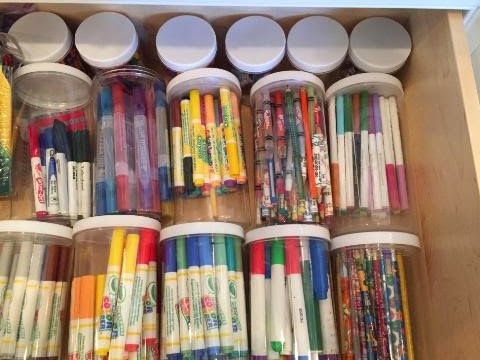 We store all kinds of things in drawers - silverware, utensils, pens, rubber bands, stamps, bookmarks, twist-ties, menus, straws, matches.....the list just keeps going. How can we make some sense of it all? First, take it all out of there! As you pull things out, set them on the counter in categories (all those things I just listed). Wipe out the drawer now that it's empty. Take a look at those categories. Do you want all the items in each pile? Pull things out for trash and donation. Now, ask yourself if any of these piles belong some place else. Do you have tons of office supplies from the drawer that belong in your home office? Have you found Legos that belong in the toy box? Beauty products that should go back to the bathroom? Set those items aside to deliver to their homes after you're done with the drawers (Don't risk the distraction of walking away in the middle of a project!). From what you've got left, set the drawer up so categories stay separated and easy to grab. Dividers don't have to be fancy. This drawer perfectly fit some used Amazon boxes! I also like this photo from Buzzfeed. It shows a deep drawer, popular in kitchens with newer construction. 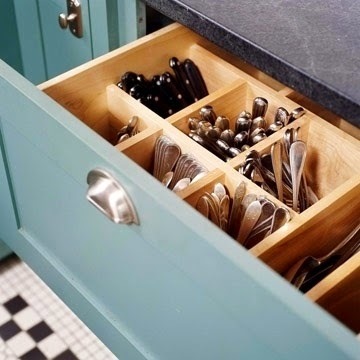 These deep drawers are great for casserole dishes and pots and pans, but can be a challenge for silverware. This a is a great solution: turn the silverware to stand tall, divide and conquer! What solutions have you found for your drawers?